Deciding which college or university to attend after high school is a major decision. Through campus tours, students can gain a better understanding of life at their favorite schools and learn more about the admissions process. Each year, we help parents and educators organize transportation for their tours around the Nashville area and beyond. With private, reliable charter buses and a dedicated driver, your group can relax and socialize en route to some of Nashville’s most esteemed higher education institutions. The buses we charter are equipped with amenities for comfort and entertainment, and you can request any combination of features when you call us at 615-913-8444. Your options include WiFi, TV monitors, DVD players, AM/FM radios, restrooms, cushioned seats, luggage storage bays, and more. 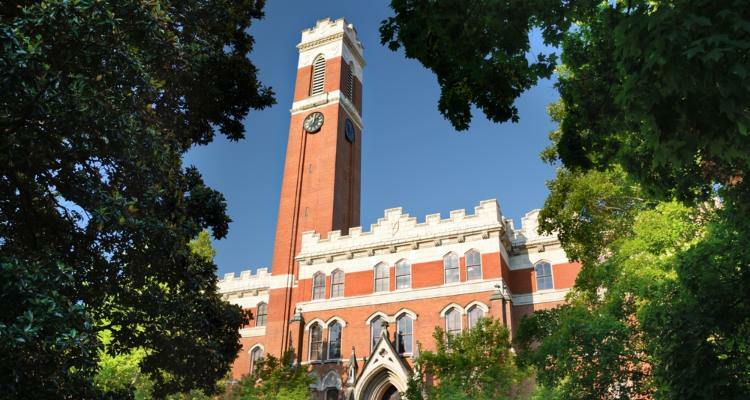 Ranked #14 on U.S. News & World Report’s list of top national universities in 2018, Vanderbilt University is an excellent destination for your students’ campus tours. Take your high schoolers to learn about programs at the famed Peabody College of Education and Human Development, Blair School of Music, Vanderbilt University Medical Center, and more. Campus tours last approximately 90 to 110 minutes and include a visit to a residential hall, several academic facilities, The Commons Center, and more. You’ll learn about the admissions process, financial aid, and life at Vandy from a student tour guide. The school’s admissions office asks that group participants do not exceed 85 and are high school age or older. Be sure to make your reservation at least two weeks ahead of time so the school can accommodate your group. As soon as you book your tour, call our reservation team at 615-913-8444 to request your fleet of charter buses or minibuses, depending on the size of your group. Your driver can drop your students and chaperones off at Vanderbilt’s Office of Undergraduate Admissions at 2305 West End Avenue and park on campus in Lot 75A, located at the corner of Blakemore Ave and Natchez Trace. Tennessee State University, a public school located near downtown Nashville, has more than 40 undergraduate majors for your students to choose from. 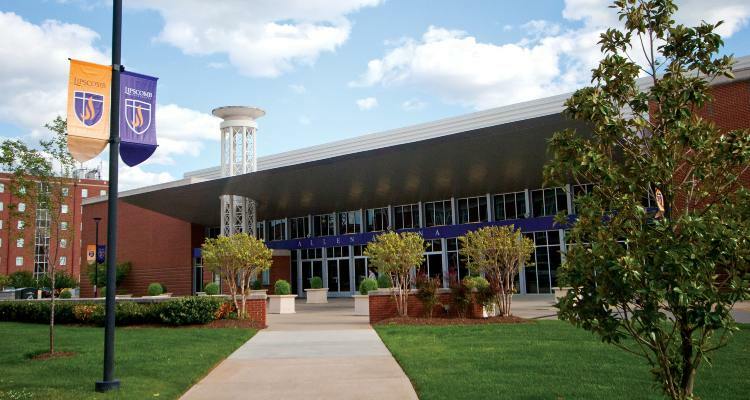 It is the only publicly-funded historically black university in Tennessee, and it was home to notable alumni such as Oprah Winfrey and Jesse Russell. Schedule your group campus tour for Mondays through Fridays at 10:00 a.m. and 2:00 p.m. September through April or at 10:00 a.m. only May through August. Make group reservations at least two weeks in advance, and contact the school if you’re coordinating a visit for more than 50 people. Your charter bus driver can drop students, teachers, and chaperones off at the main campus located at 3500 John A. Merritt Boulevard. With famous country musicians as alumni, such as Lee Ann Womack and Brad Paisley, Belmont University is a great option for students wanting to go into the music and entertainment industry. While students can major in songwriting and other music-related areas of study, the Christian university has a total of 80 undergraduate degrees and more than 20 graduate degrees. Take a one-mile bus ride from Vanderbilt to Belmont’s beautiful campus for your group tour and admissions information session. Walking tours are offered for 15 participants or more on weekdays at 11:00 a.m. or 1:00 p.m. and last about 30 to 45 minutes. Admissions information sessions are available to groups visiting with high school students only and are scheduled at 10:30 a.m. or 2:00 p.m.
Because campus parking options vary from day to day for buses, the school directs groups to unload near the library, which is less than a minute from the tour start location. Bus parking is determined on a daily basis, so groups are instructed to call campus security at 615-460-6617 for directions once the buses are unloaded. At Lipscomb University, students receive their education in a faith-based environment and can choose from degrees in 176 areas of undergraduate study. This Church of Christ university is located on a large, forested campus in the middle of the Green Hills neighborhood. Group tours are available for high school students Monday through Thursday for under 100 participants. Customize your tour to include an admissions information session, a campus tour, or both. You can even schedule time for a meal at Bison Cafe. The school asks that high school groups make reservations at least seven days in advance. For pickups and drop-offs, your driver can bring your group directly to the front of Burton Health Sciences building where the tour will begin. Because parking is limited on campus, the school directs buses to park at to Stokes School, just north of Lipscomb, or the Woodmont Hills Church of Christ parking lot. Fisk University, a liberal arts college near the Tennessee State Capitol building, is known as the oldest higher education institution in Nashville. 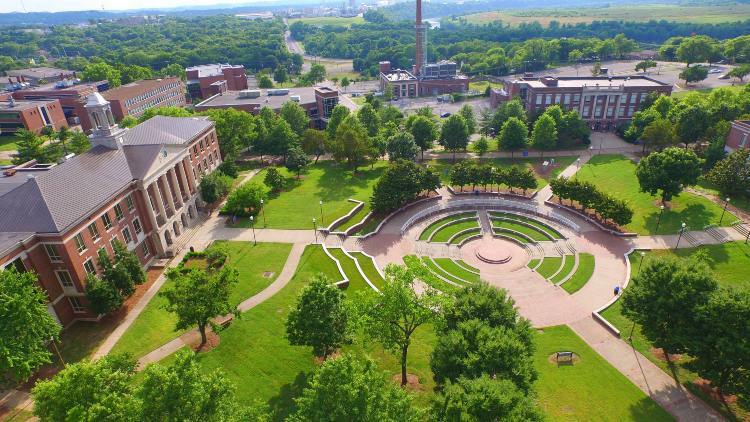 This historically black university is a prominent part of black learning and culture in the U.S. and was ranked the 5th highest academic institution in Tennessee, surpassing eight other institutions, according to Forbes’s 650 Top Colleges for 2015-2016. From 9:00 a.m. to 10:30 a.m. or from 2:00 p.m. to 3:30 p.m.
From 9:00 a.m. to 10:30 a.m. or from 2:30 p.m. to 4:00 p.m.
During your one-and-a-half-hour tour, you’ll experience life at Fisk University with an information session led by an admissions counselor and a campus tour of the 40-acre historic campus led by a student ambassador. All groups must schedule their tour at least two weeks ahead of time, but if your group has more than 50 participants, please contact the admissions department first to receive permission. Ready to reserve buses for your upcoming campus tours in Nashville? Learn about charter bus and minibus pricing, or call us at 615-913-8444 now to get a free, personalized quote. If this is your first time booking a charter bus, read our guide to chartering a motorcoach for answers to our customers’ frequently asked questions. We’re looking forward to walking you through our simple rental process and helping you find the bus that best fits your group.